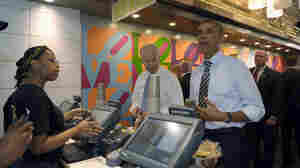 June 28, 2016  "I think that the best way to think about this is a pause button has been pressed on the project of full European integration," President Obama told NPR's Steve Inskeep. 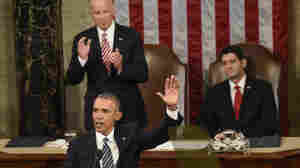 February 1, 2016  President Obama plans to ask Congress for $755 million in cancer-research funding in his 2017 budget. That's in addition to $195 million already approved in 2016. 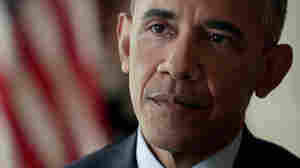 January 13, 2016  "It's one of the few regrets of my presidency," Obama said in a moment of self-critique, "that the rancor and suspicion between the parties has gotten worse instead of better." 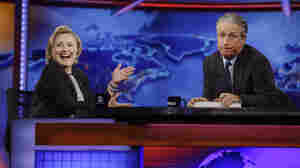 Whose Supporters Like Cheap Flights, 'The Daily Show' And Fracking? October 19, 2015  Online marketers know an awful lot about the shopping preferences of supporters of various Democratic presidential hopefuls. 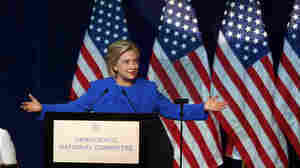 August 30, 2015  Hillary Clinton tried to rally important Democratic delegates to her side at the party's summer meeting in Minneapolis. But, as she looks increasingly vulnerable, rivals are pressing their own cases. June 6, 2015  The life of the Iraq War veteran and former attorney general was honored at a Catholic ceremony in Wilmington. 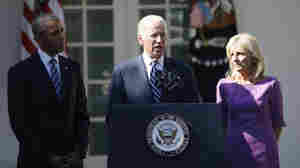 May 30, 2015  Biden's older son has died after battling brain cancer, the vice president said Saturday. Beau Biden, a former attorney general of Delaware, was 46. He was running next year to be Delaware's governor. 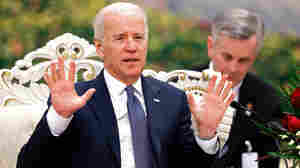 April 9, 2015  Joe Biden has recently made headlines for getting a little too touchy with a cabinet member's wife. 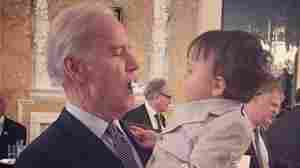 Now, a picture posted by Georgina Bloomberg shows Biden with her son's pacifier in his mouth. September 20, 2014  With polling suggesting there's a decent chance of a tied Senate next year, the gaffe-prone vice president could cut an even higher profile. 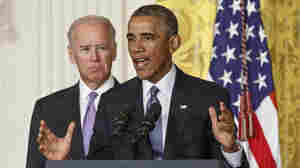 September 19, 2014  In unveiling the "It's On Us" campaign aimed at preventing attacks on college campuses, President Obama said such violence is "an affront to our basic humanity." 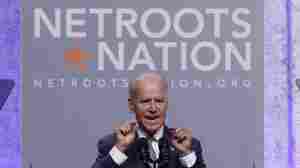 July 19, 2014  At the annual conference known as Netroots Nation, the vice president received a warm embrace from progressive activists. But that doesn't mean they want him to run for president in 2016. 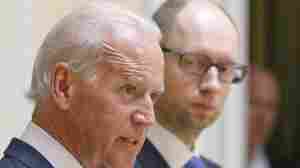 April 22, 2014  In Ukraine on Tuesday, the vice president also said "it's time for Russia to stop talking and start acting" to help resolve the crisis there. December 4, 2013  A closed-door session between Vice President Joe Biden and President Xi Jinping that had been scheduled for 45 minutes stretched to two hours. 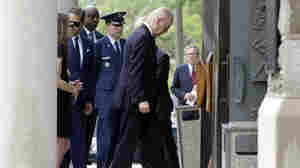 October 4, 2013  President Obama sought to turn an "impromptu" lunchtime stroll into a chance to neutralize a damaging shutdown quote from an administration official.